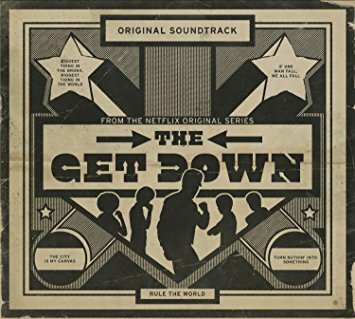 Part two of Netflix series The Get Down recently dropped, and though it isn’t yet available through the Library, we know some of you are already primed to lose yourselves in the music, the style, the art, and the drama of the Bronx in the late 1970s. 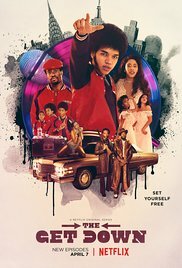 The early days of hip hop have become the stuff of myth, so what better way to document this epic true story than in an explosively entertaining, encyclopedic history presented in graphic format? Piskor’s exuberant cartooning takes you from the parks and rec rooms of the South Bronx to the night clubs, recording studios, and radio stations where the scene started to boom. The Hip Hop Family Tree is an exciting and essential cultural chronicle for hip hop fans, pop-culture addicts, and anyone who wants to know how it went down back in the day. A perfect point of contrast to a series that recreates the emergence of hip hop is one that was created during the era in question! 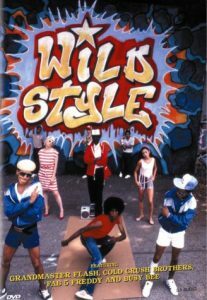 Wild Style is a 1983 docudrama that celebrates the colorful lives of teens who live in the South Bronx (sound familiar?). There they are seen break dancing, creating graffiti art, and listening to raucous rap. One focus is on the figure of Zoro, who likes to spray-paint subway cars, another reference point from The Get Down in the character of Dizzee, played by Jaden Smith. 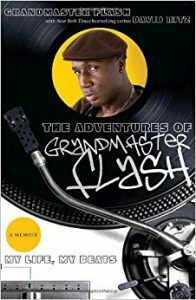 In the 1970s Grandmaster Flash pioneered the art of break-beat DJing–the process of remixing and thereby creating a new piece of music by playing vinyl records and turntables as musical instruments. In this powerful memoir, Flash recounts how music from the streets, much like rock ‘n’ roll a generation before, became the sound of an era, as well as his own rise to stardom, descent into addiction, and ultimate redemption. Whether you’ve seen the series and can’t let it go or you want to experience it vicariously, the series soundtrack will satisfy your yen. Featuring both original songs and era classics, the line up includes artists such as Miguel, Christina Aguilera, Michael Kiwanuka, Janelle Monae, and Donna Summer, as well as the talented cast. Consider this your hot summer soundtrack!